The problem with "conventional wisdom" is that after a certain point, it starts to deviate from the truth. This is especially true with sleep. As scientists finally start to delve deeper into this mysterious process and answer the unanswered questions, more and more of these old wives tales about sleep are being proven wrong everyday. We know lots of people these days hate change. And they especially dislike it when something they thought they knew for years is suddenly disproven. So brace yourself, because some of the following facts will likely change everything you thought you knew about the sleep. The classic comedy trope of one person struggling (and failing) to sleep next to a snoring partner is almost as old as entertainment itself. But in reality, losing sleep or getting poor quality sleep because of someone's snoring is no laughing matter. If it becomes a chronic problem over time, it can cause some very serious emotional and physical health problems - it can even destroy your relationship! Physically speaking, if you cannot sleep because of an annoying noise (like snoring), you may be suffering from a condition called misophonia. This goes beyond mere annoyance; misophonia is when a specific noise bothers you so much that it causes a physical "fight or flight" stress reaction in your body. This reaction floods your bloodstream with cortisol, the stress hormone. When your body produces too much cortisol, you can develop serious physical problems like Cushing's syndrome or hypothyroidism over time. Furthermore, trying to sleep while your body is amped up on cortisol can lead to poor quality sleep which, although you may not be conscious, can mimic symptoms of chronic sleep deprivation. These include impaired cognitive function, memory loss, anxiety, or depressive symptoms. Thankfully, there are many different anti-snoring products on the market which can help you and your noisy partner get the rest you need to be healthy. The sooner you start utilizing these tools, the better! For better or worse, there are certain jobs which must be performed during odd hours of the night. Furthermore, it can be difficult to coordinate a regular work schedule at places like nightclubs, restaurants, and the like. 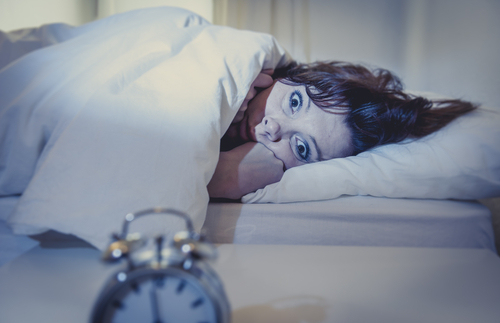 But if your sleep schedule doesn't adhere to the rising of the sun and going to bed in the late evening at around the same time each day, shift work could be ruining the quality of your sleep. And this is bad for your health. Of course, most people can't simply quit their job and find work in a Monday through Friday, 9-5 gig. If you are stuck in an irregular or a shift work type of sleep schedule, you should definitely invest in some natural sleep aids which can help improve your quality of rest. The further away you are from sea level when your head hits the pillow, the poorer your sleep quality will be. Among the myriad of health problems which poor sleep can cause, along with those we have discussed already, it can cause or worsen sleep apnea. It can also trigger premature aging. Unfortunately, this is very hard to remedy since the main culprit is the decreased levels of oxygen at higher altitudes. You might want to consider taking a decongestant or using a snore prevention spray. It'll open up your airways and help you breathe in more O2. As we touched on earlier, forcing yourself to sleep next to a partner who disturbs your rest can be bad for your physical and emotional health. And as much as most of us don't want to admit, constantly being in a bad mood or feeling sick due to poor sleep can and will have a detrimental effect on your personal relationships. But sleeping apart can either preserve or help make your relationship even stronger. Not only will the better sleep keep you happy and healthy, it'll make it easier for you to keep your relationship happy and healthy, too. Plus, have you ever heard the phrase "longing makes the heart grow fonder"? Sleeping apart from your partner can help you get a little bit of this benefit. Most sleep experts agree that there is one sleeping position which is healthier than others. That position is: on your right side. This elevates the left side of your body, specifically your heart, allowing for better blood flow as you sleep. This also takes a lot of physical pressure off the cervical part of your spine, allowing for better flow of your cerebral spinal fluid. Both of these fluids need to flow as freely as possible while you sleep in order to detoxify your brain and your body. Of course, there is one caveat to this: you shouldn't try and force yourself to sleep in a position which is inherently uncomfortable and keeps you from sleeping. If you can train your body to fall asleep on your right side, then great! But if you can't, then we strongly urge you to (literally) not lose sleep over it. Getting your hands on a bottle of prescription sleeping pills may feel like a lifesaver if you struggle to get to sleep most nights. But these pills are not designed to help you get the same quality of sleep as you would falling asleep naturally; they merely knock you out and make you feel sleepy. In many ways, parts of your brain are still wide awake despite the fact that you feel like you're unconscious. Just like your body cannot get the quality sleep it needs if you're amped up on cortisol, prescription sleeping drugs produce the same sleep deprivation affect because your brain can't get through a whole sleep cycle. Over the counter sleeping pills have their own safety concerns, as well. If any of the facts above hit a little too close to home for you, you may want to consider making some minor lifestyle changes in order to get the quality sleep you need. On top of that, you can invest in sleep-promoting products and herbal sleep aids which can help you get better quality rest. We wish you the best of luck, and we hope this article has been educational for you!